The old saying, "you hold the key to my heart", never gets old. That's because it's a timeless expression of love. Let your special someone know you gave him or her the key to your by sending this classic Valentine's Day card. 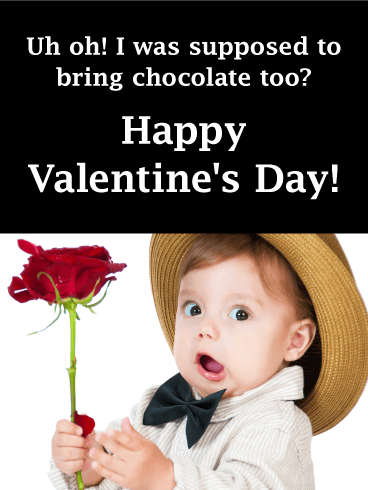 It will also let them know how happy they make you, there is no better Valentine's Day gift than this! 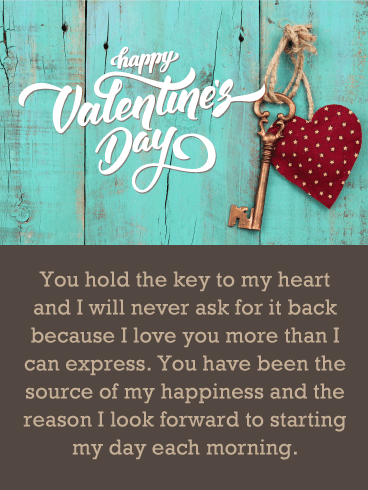 Happy Valentine's Day - You hold the key to my heart and I will never ask for it back because I love you more than I can express. You have been the source of my happiness and the reason I look forward to starting my day each morning. 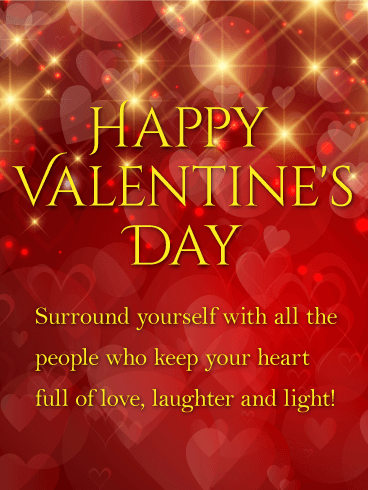 Send lots of love to the one you care about with this wonderful Valentine's Day card. It features a red striped heart with gold trim neatly tucked into a little pocket. Very creative and stylish! The bright colors against the dark background really stand out so that the heart is the first thing they will see. 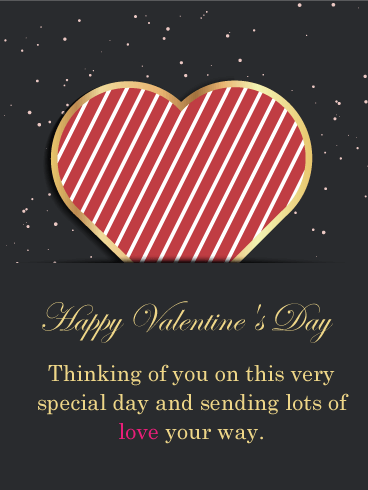 He or she will be so happy to receive this Valentine's Day card from someone who clearly cares so much! 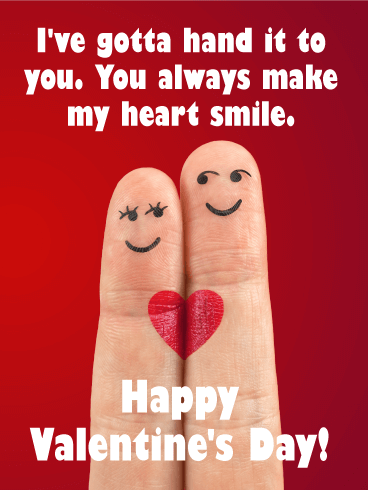 Simple, silly and just a bit sappy, this Valentine's Day card will leave your sweetie smiling for sure! With two hearts over her eyes, it looks like someone's feeling very romantic. What a perfect way to let someone you love know that you only have eyes for them. The one you love has it all: looks, personality and an incredible sense of style! 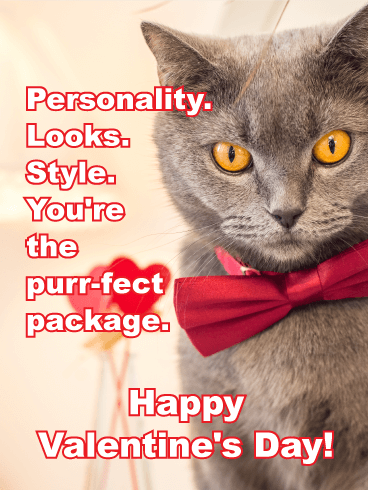 So it's only fitting to send your sweetie this playful Valentine's Day card, featuring a dashing cat wearing a red bow tie. Just one look at this adorable kitten and they'll be smitten! In this day and age, almost everyone communicates their thoughts and feelings in the language of emojis! 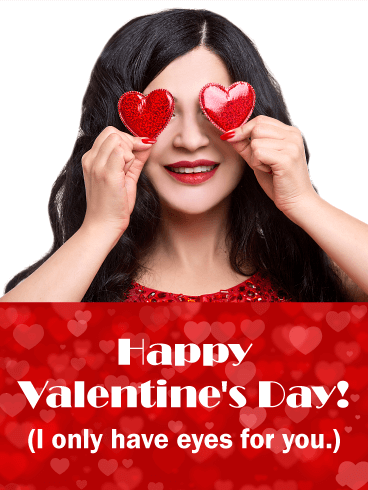 And when it comes to the most romantic day of the year, it's no different! 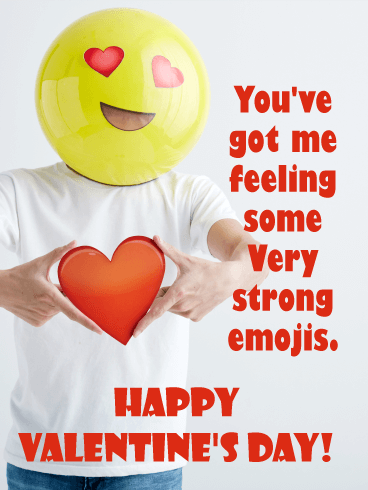 If you've got hearts in your eyes and you're ready to let them know, send this sweet, silly Valentine's Day card to get LOL! This Valentine's Day card comes in"hand-y" when you want to let that special someone know just how you feel! With loving smiles on their "finger" faces, and a heart drawn between them, it's a sweet and funny reminder that there's no one you'd rather be connected to. 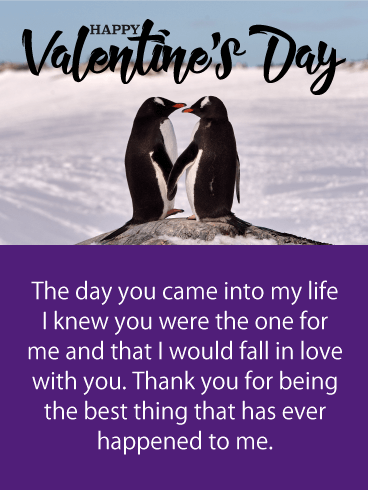 Both cute and quirky, this Valentine's Day card may just have your sweetheart "cracking up," while also feeling very sentimental. Two eggs sit side by side, smiles on their faces and a heart between them. 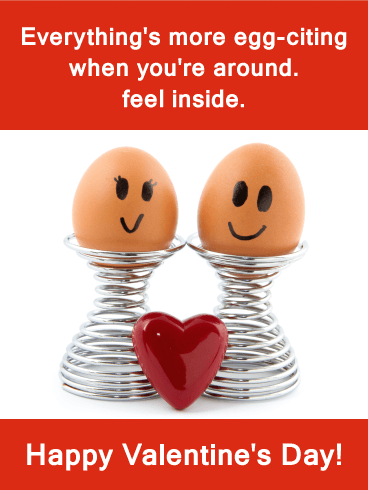 It's a playful reminder for the one you love that they still know how to make things egg-citing! 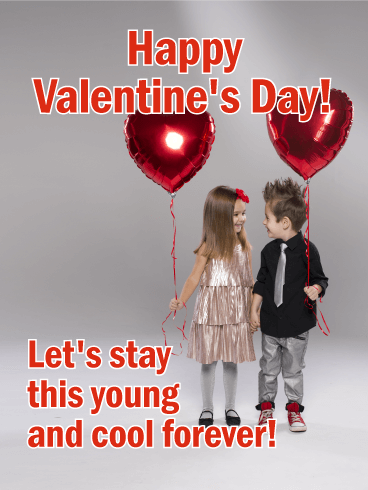 Whether it's your first Valentine's Day as a couple, or you've been together forever, this cute & playful card will remind you that no matter how many February 14ths you've celebrated (or that are still to come), in your heart, you'll always keep the romance alive, while feeling as young and as cool as ever! We know that your sweetie loves to feel the love on Valentine's Day, but she also can't resist giving lots of XOXO right back! This bold female is ready to cover her guy in kisses, because when it comes to romance, she takes it very seriously. 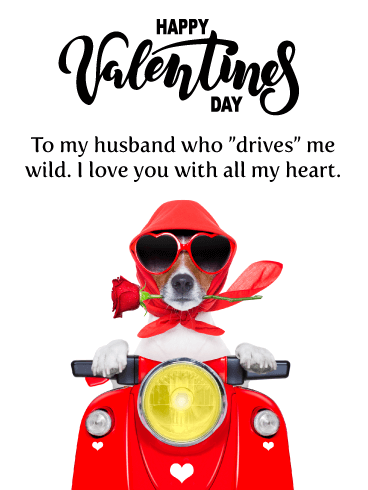 But you'll be feeling anything but serious when you send this wacky Valentine's Day card to make your love laugh on February 14th. This little guy is so cute, you just may forgive him for forgetting to bring a big gift! Every Valentine will get a good chuckle over this adorably funny card, which will remind your own sweetheart that even if you're not perfect, you're so much in love that it doesn't matter!